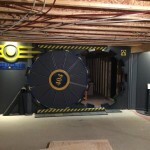 There are a lot of people I know that are absolutely obsessed with the Fallout games. While I have played a little bit of both Fallout 3 and Fallout 4, I can’t say I ever got sucked in enough to stick with them (mainly because I hate when games limit what I can carry). 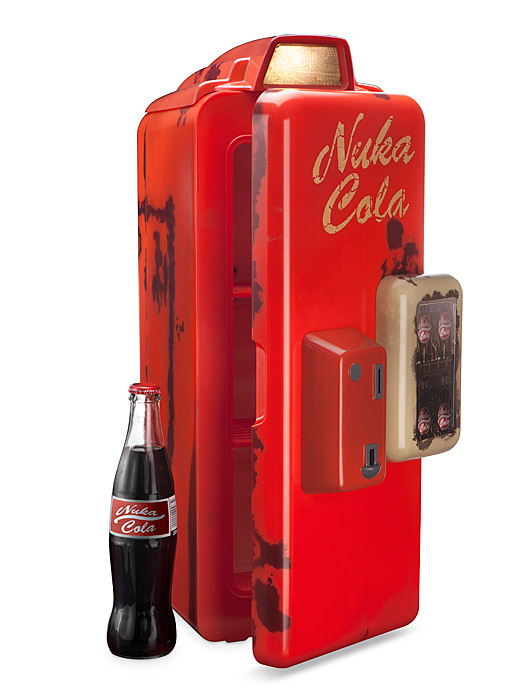 However, I know a lot of people that are utterly obsessed with the Fallout games and I’m pretty sure those people would love to have some cool drinks in their bedroom that are stored in this awesome Fallout Nuka Cola machine mini fridge! There are two things that are sure to interrupt your gaming session and that is a need for something to drink/eat and the need to go to the bathroom. 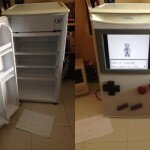 Well, if you want to take some of the pain out of needing to keep hydrated during your long gaming sessions and you have a love for Fallout, then this Fallout Nuka Cola machine mini fridge is exactly what you need! 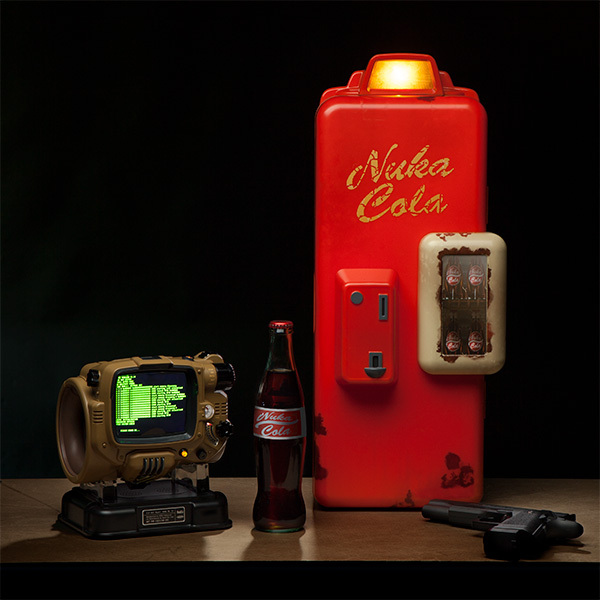 The awesome folks over at ThinkGeek are selling this Fallout Nuka Cola machine mini fridge for just $149.99! Not only does it store up to 12 12oz cans of your favorite soft drink, but thanks to the removable shelf, you can even put bottled drinks in it too! 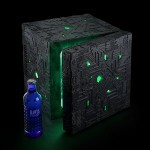 Perfect for any marathon gaming session whether you are drinking Bawls or Nuka Cola! But be warned, the availability on this cool looking Fallout Nuka Cola machine mini fridge is very limited so if you want one, I wouldn’t wait too long because you might miss your chance to be the proud owner of one of these machines! 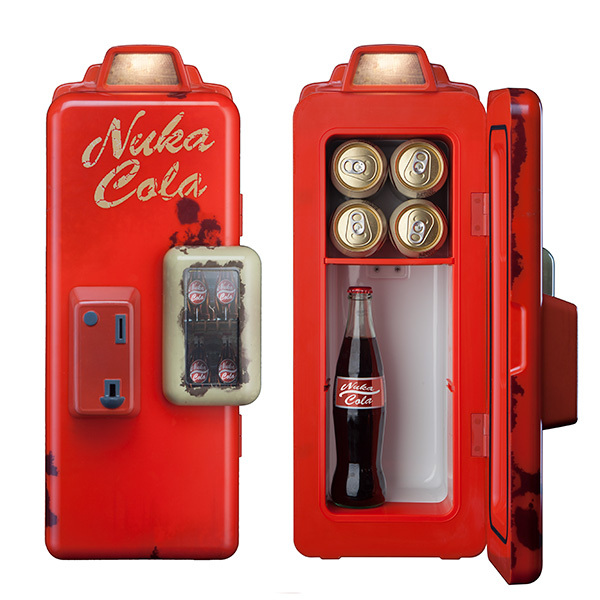 If you are a fan of the Fallout, let me know in the comments below if you are going to pick up one of these awesome Fallout Nuka Cola machine mini fridges! 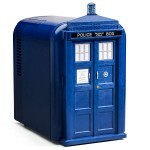 And if Fallout isn’t your favorite, search for mini fridges on the right because I have posted others in the past from franchises like Star Trek. 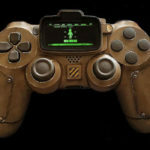 Share this with any Fallout fans you know! 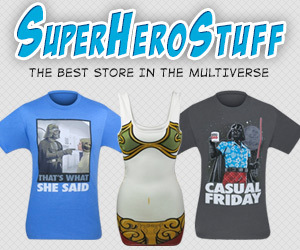 Make sure to go like us on Facebook and follow us on Twitter too so you don’t miss the awesome stuff we share that doesn’t get posted here!